NEWTOWN SQUARE, Penn. (April 18, 2018) – Scientists with the USDA Forest Service estimate that between 2009 and 2014, tree cover in the Nation's urban/community areas declined by 0.7 percent, which translates to losing an estimated 36 million trees or approximately 175,000 acres of tree cover annually. Pavement and other impervious cover increased at a rate of about 167,000 acres a year during the same period, according to research by USDA Forest Service scientists. Nationally, urban/community tree cover declined from 42.9 percent to 42.2 percent. Twenty-three states had a statistically significant decrease in tree cover, with a total of 45 states showing a net decline. Trees improve air and water quality, reduce summer energy costs by cooling homes, reduce noise, mitigate runoff and flooding, and enhance human health and well-being, making them important to human health and urban and community infrastructure. The annual benefits derived from U.S. urban forests due to air pollution removal, carbon sequestration, and lowered building energy use and consequent altered power plant emissions are estimated at $18 billion. "Urban forests are a vital part of the nation's landscape," said Tony Ferguson, Director of the Forest Service's Northern Research Station and the Forest Products Laboratory. "Forest Service research puts knowledge and tools into the hands of urban forest managers that supports stewardship and the wise allocation of resources." States or districts with the greatest annual net percent loss in urban/community tree cover were Rhode Island and the District of Columbia (minus 0.44 percent), Georgia (minus 0.40 percent), and Alabama and Nebraska (minus 0.32 percent each). States with the greatest annual net loss in tree cover were Georgia (minus 18,830 acre/year), Florida (minus 18,060 acre/year) and Alabama (minus 12,890 acre/year). Three states – Mississippi, Montana and New Mexico – had slight, non-significant increases in urban/community tree cover. Nationally, Maine has the highest percent tree cover in urban/community areas with 68 percent tree cover. At 10 percent tree cover, North Dakota ranked as having the lowest percent urban/community tree cover. 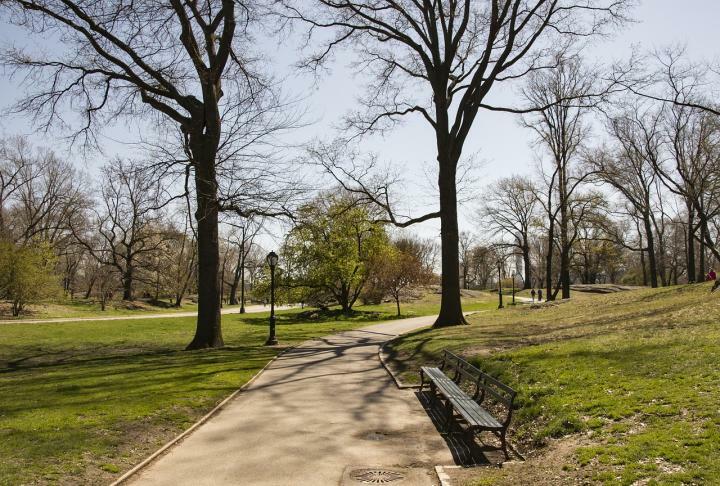 "Urban forests are an important resource," said Nowak. "Urban foresters, planners and decision-makers need to understand trends in urban forests so they can develop and maintain sufficient levels of tree cover – and the accompanying forest benefits – for current and future generations of citizens." As of 2010, urban land occupied 3 percent, or 68 million acres, of the United States, while urban/community land occupied just over 6 percent of the United States, or 141 million acres. Overall, urban/community impervious cover had a statistically significant increase from 14.5 percent to 15.1 percent (an increase of 0.6 percent), States with the greatest annual net percent increase in impervious cover were Delaware (0.28 percent), Iowa (0.26 percent), and Colorado, Kansas and Ohio (0.24 percent each). States with the greatest annual net increase in impervious cover were Texas (17,590 acre/year), Florida (13,900 acre/year) and Ohio (8,670 acre/year).